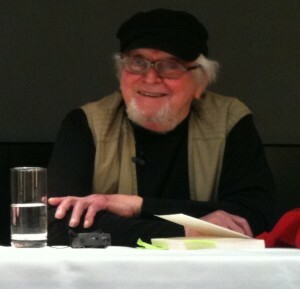 Hoban, the American-born writer who died in his adopted England on Tuesday at age 86, was far from a one-hit wonder. But Riddley Walker, his 1980 novel set in the crude countryside of Kent a couple of millennia after a nuclear apocalypse, is undoubtedly his Catch-22, the novel of astonishing accomplishment and originality that stands as the peak of a fertile and often brilliantly surprising career. Young Riddley lives in an age of rubble: partly Mad Max free-for-all, partly pre-Roman Celtic drudgery, partly tightly controlled medieval theocracy. What quickens the book, and distinguishes it from the standard run of post-apocalyptic lit, is its language, a wildly inventive yet carefully considered deconstruction and reassembly of contemporary English as it might have devolved and reinvented itself in the centuries after a global disaster. The writing is constantly involving and often hilarious, and once you get the hang of it (reading a couple of pages out loud helps immensely) it makes extraordinary sense. A lot of other writers have made hay by taking liberties with the language and its tangled roots: James Joyce poetically and esoterically; J.R.R. Tolkein allusively and academically. Hoban did it with a literary everyman’s gusto and sly wit.